These words of encouragement listed below come from a Hallmark card which I have received and sent a few times when it felt appropriate. The words ring true as we remain standing after losing someone who was so embedded into your heart and soul that even you wonder how time continues to march on leaving you here to tell your story. Just maybe our roots are the golden cords of love we share with our precious ones which extend to both sides of the veil. 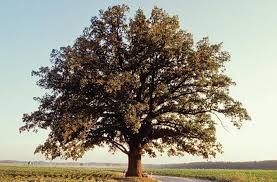 How can you still be standing Oak? Yesterday I wrote a post. As the day progressed to swallow me up, I decided I did not want to own my words so I deleted the post. A few people acknowledged my post by hitting the “like” button so I thought maybe an explanation was required. There is no way to balance my grief. The scales are forever tipped in the wrong direction now and I am growing weary of trying to explain the unexplainable. It remains true that “there are no words” in certain situations. May your golden roots of love carry you through what I am unable to explain. “as we remain standing after losing someone who was so embedded into your heart and soul that even you wonder how time continues to march on leaving you here to tell your story. Just maybe our roots are the golden cords of love we share with our precious ones which extend to both sides of the veil”. Part of how we feel after losing a child is we don’t want to feel better. Somewhere deep inside we think it’s giving up on them. The force of death has pulled them away and we still have their hand in ours, trying to pull them back. To let go means the final defeat of this blow we received. It’s just that we can’t fully grasp where they are. No one can understand a mother’s heart – except another mother. Yes, Kathleen, I know you sadly understand. I am not afraid of letting go of the heavy grief but I will never ever let go of Amy. As a human being, a mother, and not some divine entity, I am not wired to absorbed this unnatural loss. I resent ever clueless one in my midst who assumes this is willful intention to be so sad. Amy was embedded in my heart. I feel her physical absence in a way no one except another Mom such as you can understand. And for the grievers ahead me, I cannot catch up and for those behind me, I do not know the way to the light. It is so personal, isn’t it? We each have to travel our own path but to know other parents exist who understand offers a sad comfort we desperately need.